Carter Bond is the natural world transformed. 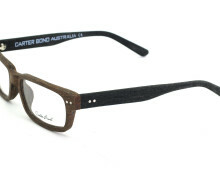 Using a combination of different materials from wood-finish acetates to natural bamboo and wood; Carter Bond’s approach to fashion is inspired by the power of make – and who made it. 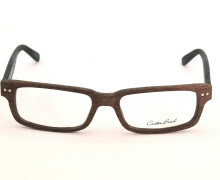 The handmade frames from Carter Bond are designed to look and feel as though they are crafted from wood, although every frame is in fact made from wood-look acetate and can be altered and adjusted just as any other acetate frame.